Basement and crawl space flooding is a common problem that causes water damage and mold growth. If want to prevent a wet crawl space in Center Moriches, there are many steps you can take to protect your home from water damage before your home is even built. This video explains how a system of two sump pumps can prevent basement flooding. Your sump pumps’ outlet pipes should include a check valve to prevent water backup from causing a wet crawl space or basement as well. Even if you live in an older home, talk to your plumber about adding or modifying a sump pump system to ensure it will prevent basement flooding. Sump pumps are automated pumps that remove water from your basement when triggered. Installing a sump pump system is just one of many steps you can take toward a waterproof basement in Suffolk County. Mold and mildew growth can occur quickly—within 24 hours of a leak or flood. One inch of water can provide enough humidity to allow mold to begin growing on nearly any surface in your home. Thus, mold growth in a wet crawl space or basement can become a widespread issue that affects the quality of your home’s indoor air, causing a variety of reactions. If you are experiencing a mold problem in your home, seek professional mold removal in Center Moriches to address the issue as soon as possible. Mold spores are a common allergen, causing a reaction in up to 10% of the population. Mold allergies cause symptoms that are similar to hay fever: congestion, coughing and sneezing, a runny nose, itchy or watery eyes, and throat or mouth irritation. However, these symptoms will not abate until the allergens have been completely removed via mold remediation. If you suspect you or a family member has a mold allergy, your physician can perform a simple test to determine if mold is causing your allergy symptoms. Studies have shown that long-term exposure to mold spores in the home can lead to the development of asthma, particularly in children. 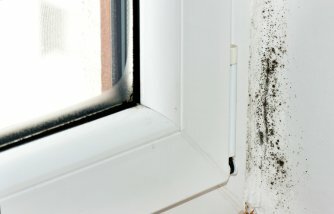 Additionally, the inhalation of mold spores can affect those who already suffer from asthma. Mold exposure can cause wheezing, discomfort, and asthma attacks in asthma sufferers, requiring more extensive medication or medical care. Inhaling mold spores can have negative health effects even in those without specific mold allergies or asthma. People who live in homes where mold and mildew grow can experience frequent headaches, fatigue, irritability, and trouble sleeping. If you notice these symptoms are present while you are home but improve when you are away, it could signal mold growth somewhere in your home. Prompt mold removal will improve your indoor air quality to address mold-related allergies and asthma. The key to preventing mold and mildew over the long term is to address possible causes of standing water and flooding through water removal and waterproofing. While your basement may seem like the sturdiest part of your home, this area of your house is actually very vulnerable to water damage. To protect your property from water damage, you may want to consider setting up a basement waterproofing appointment . With professional waterproofing services, you can prevent a flooded basement and other types of water damages. Even small amounts of moisture can cause significant structural problems in your basement and home foundation. In addition, basement waterproofing can prevent mold and mildew from forming in your home. During your professional basement waterproofing appointment, a technician will seal off all of the areas of your basement that are susceptible to flooding. In addition, your technician will also make sure that water is able to drain safely away from your foundation. A company offering Center Moriches basement waterproofing can tell you more about the importance of this service. By taking preventative action against water damage, you can save yourself time and hassle in the long run. During a heavy rainstorm, your home is at risk of developing a flooded basement. As rain water rises around your home, it can enter your basement through small cracks in the foundation. This situation can cause serious and costly water damages to your home. By setting up a basement waterproofing appointment for your home, you can rest assured that your building will not flood during the next rainstorm. A company offering Center Moriches basements waterproofing can help you ensure that your property is protected from environmental damages. With professional basement waterproofing services, you will prevent water from getting inside your home. For a closer look at the dangers of heavy rains, watch this video from KOIN 6.